The calendar is telling us it’s spring, season of growth and flowering, but the weather over the past few days has been more like Christmas! The month when Nature is at its most capricious, April is notorious for doing whatever it wants. But at KLOTZ, we’re in no doubt about the season! We’re gripped by spring fever – from our headquarters, where our developers are busily working on new ideas, to Frankfurt, where Prolight + Sound opened its doors at the start of the month and our team at the KLOTZ stand were kept on their toes from morning to night. This trade show is, as ever, a vital meeting-point for building new contacts and refreshing existing relations. Our high level of incoming orders paints a clear picture. We also received a personal commitment from a musician who is unquestionably one of the greatest pioneers of electronic music – Jean-Michel Jarre is now part of the KLOTZ family! In addition, that family now has two new members – a new sales team member for France, and a new back office colleague at our headquarters. 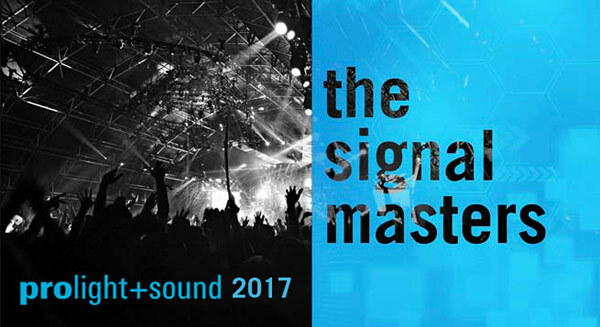 Prolight+Sound 2017 has been and gone. 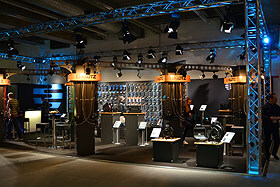 During the event, from 4–7 April, all eyes in the music industry turned to Frankfurt. Our thanks go to all visitors to our stand – including over 500 trade visitors! As ever, this annual event is enormously important for us, and we and our team are always happy to attend in Frankfurt every spring. This time was our 38th in succession! We displayed 250 items that made up a representative selection from our world of cables and cable products – but were only a fraction of our full product range! 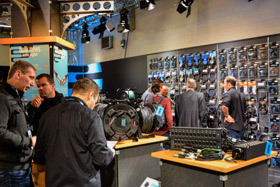 Visitors were particularly interested in the CATLink Series, the Titanium microphone cable and our fibre optic solutions with SmartBeam MINI and SmartBeam OCTO connectors. Once again, clear confirmation that we’re on the right track with our innovative products! We have been able to keep the prices of our products stable for the past two years. However, across-the-board cost adjustments and increased commodity prices have now forced us to increase the prices of our products up to 5% from 1 July 2017. The new Price List will also be available from July 2017. We guarantee that our quality products will continue to meet the highest standards and requirements now and in the future. Framework agreements received before 30 June 2017 as well as our Fiber Optic cable products will not be affected by the price increase. A true innovator, a pioneer of electronic music – that’s Jean-Michel Jarre. Everyone, absolutely everyone, is familiar with “Oxygène”, Jarre’s million-selling album from 1976. The megahit was the launchpad for Jarré’s unparalleled international career. Have a listen. He followed in the footsteps of his father, a composer, and studied at the Paris Conservatoire. After “Oxygène”, Jarre’s works “Équinoxe” and “Magnetic Fields” likewise became classics of their genre. His later works were also enormously popular. Jarre has three entries in the Guinness Book of Records, was the first western artist to be invited to perform in Communist China, and performed a concert at the Pyramids of Gizeh at the turn of the new millennium. He celebrated the 40th anniversary of “Oxygène” by releasing a trilogy box set. Now Jean-Michel Jarre is part of the KLOTZ Family, using our cables in his studio. We’re delighted at the news! Customers asked us for a solution to quickly tell apart e.g. microphone cables from 110 ohms digital audio cables. So we introduced a colour coding for our new premade DMX and AES/EBU cables. Maximilian Fischer is the latest member of our ProAVM & MI Sales Team at KLOTZ AIS GmbH, and will be part of our back office crew. Maximilian Fischer, a qualified wholesale and foreign trade management assistant, joined our Sales Team on 15 March 2017. He can be contacted by phone at +49. (0)8106.556 and by e-mail at maximilian.fischer@klotz-ais.com. We’re happy to introduce a new member of the company, who is joining our France sales region. As our new KLOTZ sales representative, Francois Voisin will be in charge of the MI Retail market in the northwestern part of France. He is now your partner for all enquiries about KLOTZ products from Lille and Paris to Rennes, Nantes and Bordeaux.